Distortion pedal. Made by Marshall. Adding the Guv'nor Plus to your set-up is just like adding another Marshall amp to your rig! The rich tone of the original Guv'nor Plus has those distortion tones that you know and love! 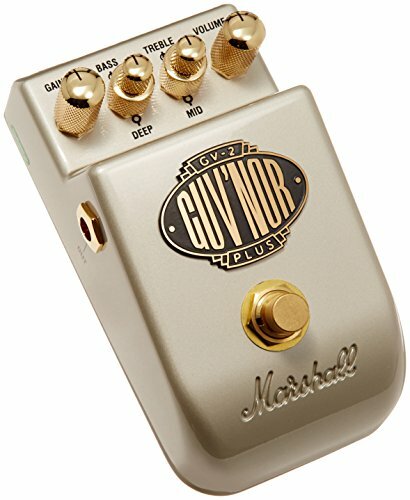 In addition to the traditional Guv'nor tones you will also find a Deep control and expanded Gain structure. The GV-2 has all the power and tone of the original, much loved Guv'nor pedal - and beyond!